Party Balloons For All Occasions can supply your latex and foil balloons printed with your individual message, date, details etc. This makes your event or celebration completely individual to you! The balloons can then be incorporated into your air or helium balloon decoration. Latex or foil balloons can be mass-printed with your Company Logo. 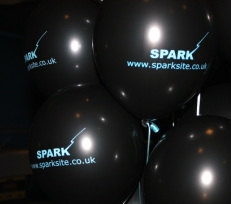 The correct design of logo and colour choice of balloons can be used to promote your business further. These can then be used in your marketing promotions, or balloon displays. 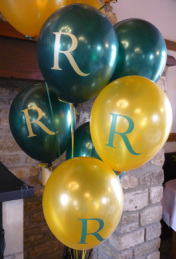 Please contact Party Balloons For All Occasions Devizes, Wiltshire with your enquiry and we will be happy to advise you as to what type of balloon and print would work best.